Yes, I said stank not skank. You'll have to take care of that other problem on your own. I kid. Chemical fumes I smell on occasion in the apartment have got me looking into air purifiers. I found the majority of which to be aesthetically challenged. The hard part seems to be incorporating all the components in the design. Even the best looking, award winning Coway AP-1008 has an awkward protruding back side. 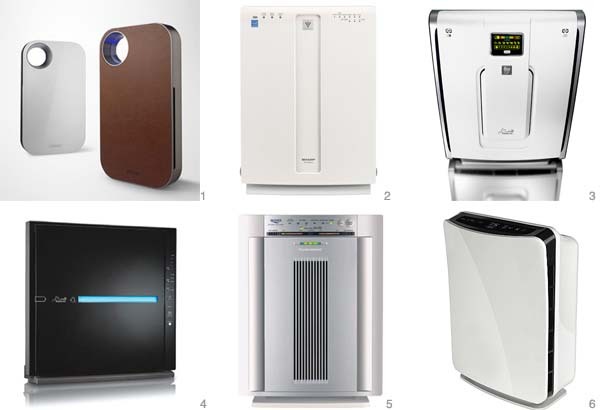 But if anyone is looking, here's a list of the better looking air purifiers that do the job well because after all, it does have to work. 1. Coway AP-1008 - Best looking, but 225 sq ft is the largest capacity. No bueno for studio dwellers. 4. Rabbit Air MinusA2 - black, white, & 4 artist designs. Largest room size of this list. Wall mountable but protrudes 7". 6. Kenmore/Winix PlasmaWave - best attempt at integrating the vents and back but not sure how well it functions. Reminds me a bit of a Stormtrooper. - functions: some tackle odor and VOCs (toxic vapors found in paint, varnishes, adhesives, cleaners, synthetic materials) and some don't. More research and some good reviews here. Allergy sufferers will want to look even further in depth. we have the rabbit air bioGS in each bedroom and 2 minusA2's for bigger areas downstairs. yeah, that's 5 not-so-cheap air purifiers, but luckily when we ordered them from rabbit air, they gave us a discount and free filters. but we're very happy with them, and they are awesome at getting rid of food smells!! Thank you Will! Glad you found it helpful.